The student placement programme is designed to work within University undergraduate industrial year programmes, usually commencing at the beginning of the academic year (September) and continuing through to July (please note that our Ecology placement is for 6 months only, starting in February/March). 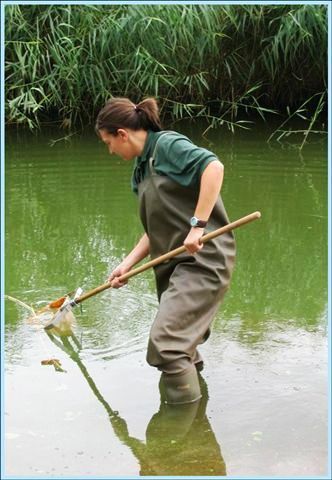 The placement provides a tailor-made learning programme to enable students to gain experience in a wide range of techniques applicable to the zoo professions or to develop useful skills in areas of ecology, conservation and reserves management. Research projects are focussed within our research themes and may be zoo or reserve based. We offer three types of placement (click on the links for more information): zoo-based research, advocacy research and ecology-based research. Please choose which placement you would like to apply for and complete the correct application form (links below). You will also need to send in a one-page cover letter detailing why you would like the placement opportunity. Your covering letter and application form should be sent to the Trust Secretary at trust.secretary@wwct.org.uk. Please note that we cannot process applications until both the application form and cover letter have been received. All applications will be responded to within one week of submission. The deadline for applications is 9am on Monday 19th November 2018. Interviews for 2019/2020 placements will be held during the week commencing 7th January 2019. Data protection: All application forms and cover letters will be kept securely on file until the following September as it may be necessary to refer back to them in the event of other students not being able to fulfil their placement. Once the successful students commence their placement in September, all other applications will be destroyed. If you would not like your application to be held on file for the duration of that time, please let us know. The voluntary worker programme can be tailored to individual areas of the WWCT’s research programme to meet graduate requirements for work-based learning. This is designed to allow graduates to acquire knowledge and experience of relevant skills, both experimental and practical, within a real and dynamic workplace. A learning agreement is written with each voluntary worker to ensure that the needs of the WWCT research programme and the voluntary worker are both met. Frequent performance reviews and a training record are completed throughout the placement. Voluntary worker placements usually last for 6 or 12 months and may start at various times of year. Sorry - there are currently no voluntary worker placements available.